Now obviously, things changed big time then, in every facet of American culture, and this is hardly the most important. But this is what the site’s about, so let’s start by backing up even further. 1987 saw the return of Star Trek to the air waves, in the form of The Next Generation. This was the start of what I call the Silver Age for TV sci-fi: we had Star Trek, in all 4 of its forms; we had Stargate begin its long, long run; The X-Files fed the public’s fascination with Roswell and UFOs. The successes of these shows prompted smaller companies to try their hand at it, giving us things like Babylon 5, Space: Above and Beyond, Andromeda, Farscape, Firefly, and so many more. This ran up all the way through the 90’s, and into the start of the 2000’s when a lot of those later shows premiered. The last time there was a boom in sci-fi this big, it was during the 60’s when real life space exploration had begun for the first time, which spawned Star Trek, The Twilight Zone, and Doctor Who–two of which are the longest running SF franchises in history (although for this, I’m focusing on American productions). But it couldn’t last forever, much as how the 60’s golden age had ended with the Apollo program and the cancellation of many of those shows. The early 70’s, much like this time today, were a period when there were basically no real sci-fi shows on the air, and certainly not any in space. Even the few films set in space from the pre-Star Wars period tended to have a bleak outlook, like Silent Running and Dark Star. Something had robbed the country of its wonder and hope. The most common thing that’s pointed to is Watergate, but I don’t think that did it alone. It was just as much the weight of the Cold War (or more specifically, the end of Vietnam), the oil crisis in ’73, and conflicts in the middle east. 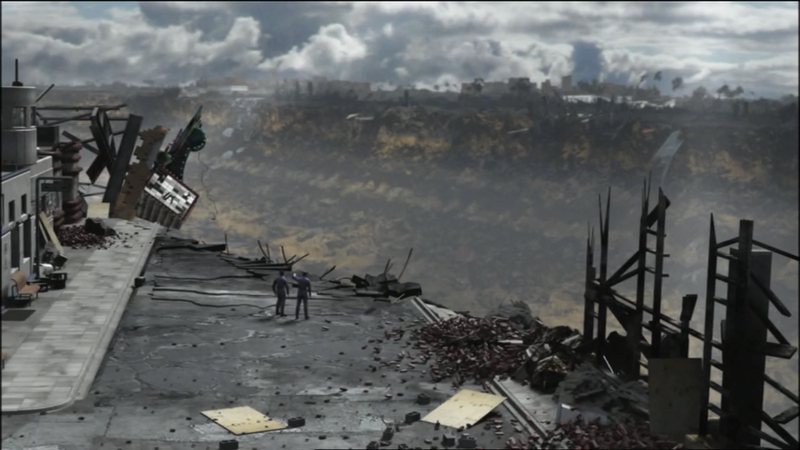 Imagery from the start of the Xindi arc is incredibly reminiscent of Ground Zero. So let’s jump back to the modern era. By 2001, Star Trek had been on the air continuously since 1987, a full 14 years. Voyager had just ended and Enterprise was beginning. But the climate had changed radically between those two events, with Enterprise debuting only 2 weeks after 9/11. A shift was beginning here, although it wouldn’t be identifiable until later; the public’s love for an optimistic future like Star Trek‘s was waning, and the move towards the dystopian and post-apocalyptic started up rapidly. 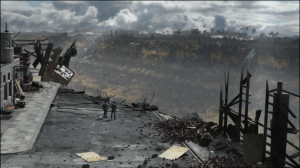 Firefly in 2003 has Earth completely destroyed and abandoned, the “Earth-that-was,” as the characters called it. 2003 also saw Enterprise turn in a new direction: after a devastating and unprovoked attack on Earth, the Enterprise, as Earth’s most powerful starship, is sent to find out who sent it and stop them before they can do it again. Sound familiar? The season was consciously modeled by Brannon Braga on the then-new series 24, which exploded in popularity after 9/11. 24 was almost cathartic, in a way, by showing how such horrible events could be stopped… at a steep price, but one people seemed willing to pay at the time. Many fans of Star Trek were not happy with this turn, as they felt these themes of torture and terrorism and desperation-driven darkness were not fitting with the show’s vision. Enterprise only made it one more season after this point, although the fourth season is generally regarded as the best. While we don’t get front row seats, BSG starts off with an equally devastating attack. 2003’s biggest change to the scene, however, was the premiere of the Battlestar Galactica miniseries, which became extremely popular. It was dark, gritty, and all the things Star Trek wasn’t. The humans in BSG weren’t in power; they were fearful, on the run, and their very way of life was at risk after an attack they couldn’t have seen coming. This fear resonated with the audience. It kept the tensions high and put all the characters on edge so that their negative qualities were exacerbated by the situation. Bill Adama emerges as a strong, militaristic leader, and it’s even acknowledged in the show that he is more or less running the remains of society as a dictatorship, with or without the help of Roslin depending on how she feels towards him this week. 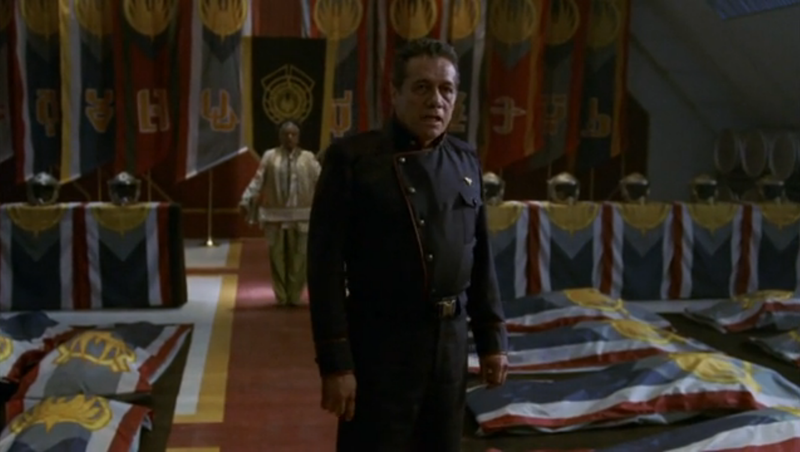 Baltar may have been a jerk, but they still cheated the electoral process to try to keep him out of power, and it only got worse when Lee Adama pushed Zarek out of the presidency by implying the military will stand against him. But apparently, that’s just what audiences wanted. This darkness, the do-what-it-takes-at-any-cost behavior that the characters show, was fully embraced by what sci-fi shows were left at the time. With Star Trek gone, BSG was the king of the hill now. 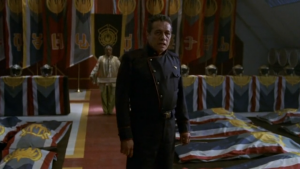 And just as how shows in the 90’s often emulated Star Trek in some way, so too did they approach BSG. 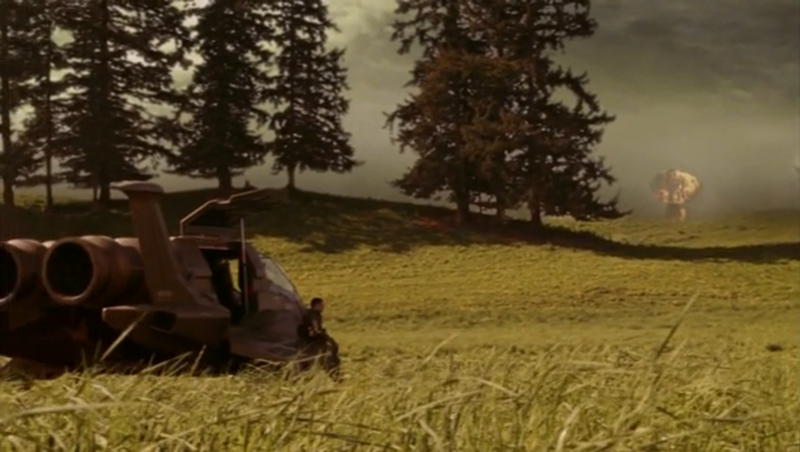 One of the common complaints about Stargate Universe was that it was trying to ride on the popularity of Battlestar Galactica by copying the environment and character dynamics, in a universe where that didn’t fit in much better than it would in Star Trek. 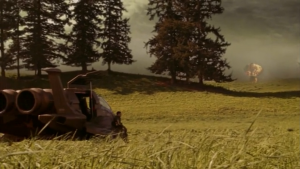 Caprica was literally the same universe, carrying that darkness into the past with it, as was the failed attempt at starting a new prequel in Blood & Chrome. Even now, with Defiance, it’s still a post-apocalyptic wasteland filled with frequently petty and flawed people, where returning to space is literally impossible. And there hasn’t been a show set in space since the death of SGU; as it turns out, BSG had so thoroughly deconstructed it, ripping apart the tropes of the space opera and exposing why they wouldn’t work in reality, that no one has been able to put it back together again. Other excuses are made, frequently citing high budgets and narrow interests, but I don’t buy it. 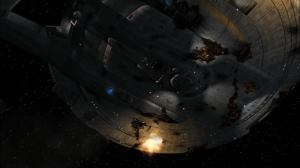 BSG, deliberately or not, broke the toys so that no one else could play with them when they finished. “So Say We All.” Strength and unity in tragedy, an appeal to those suffering. So if this situation is so similar to that of the early 70’s, how did they revive the space-based adventure series in time for the silver age? Salvation came in the form of cinema–namely, Star Wars. After half a dozen years of nothing, the adventurous spirit came roaring back in a movie that made space fun again. It inspired Paramount to revive Star Trek as a film series; it provided the popularity wave that allowed the original Battlestar Galactica to get produced, and brought old Buck Rogers out of retirement. Were it not for Star Wars, the sci-fi movie boom in the 80’s and subsequently, the TV boom in the 90’s, just could not have happened. And I think that we may have recently had that Star Wars moment for the current slump, through the unexpected popularity of Guardians of the Galaxy. Suddenly, there are a lot of sci-fi shows in development, which I elaborated on before. And while a lot of them still have shades of that BSG darkness to them, I’m hoping that Guardians will prove to executives that space can be a place full of adventure and wonder and excitement, and not just a closed set in which to house soap operas. If we’re going to be in space, let’s do things that can only happen in space. Revel in it, and be proud of the genre. That’s the only way it will ever recover.